Reno-based GreenStreet Companies and Vintage Housing building 360-unit Steamboat by Vintage development. RENO, Nev., July 20, 2018	(Newswire.com) - Affordable housing in Northern Nevada is about to see some real change in South Reno. 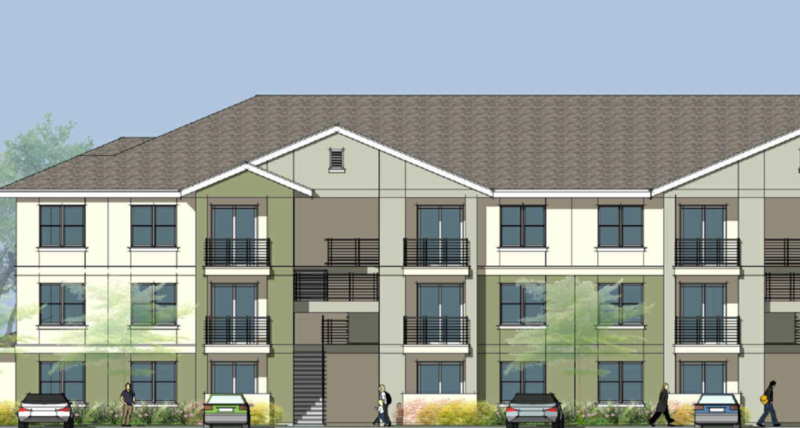 On July 24, GreenStreet Companies and Vintage Housing will break ground on Steamboat by Vintage, a brand new 360-unit development promoting a state-of-the-art, energy-efficient, high-quality lifestyle for working families at or below 60 percent of the area median income. WHEN: July 24, 2018, at 10 a.m.
“This is the first new large rental community in 15 years that is being built at a level that the average working family can afford,” said Jim Zaccheo, co-founder of GreenStreet Companies. “With the extreme rent increases we have seen in Northern Nevada, these 360 new apartments will give working families an affordable opportunity to live in a brand-new very high-quality apartment community." Expected to be completed during the summer of 2019, Steamboat by Vintage will consist of 360 one-, two- and three-bedroom walk-up units in 15 buildings, as well as a 4,085-square-foot community clubhouse that includes a fitness center, community room and pool. The new apartments will be generously sized and include EnergyStar appliances, LED lighting, energy-efficient heating and air conditioning, kitchens complete with full-size appliances, washers and dryers, and extensive cabinet and closet storage. Every unit will have an exterior patio or balcony to allow residents their own private outdoor space. The proposed development is located on 18.41 acres on the southeast side of the intersection of Geiger Grade Road and South Virginia Street along Steamboat Creek. “We worked closely with the city planning staff to incorporate a looped nature trail along the creek to allow residents and their children plenty of recreational opportunities on-site. This includes a sports court, recreational playfield, tot lot, multiple barbeque/picnic areas and a dog park,” said Dane Hillyard, co-founder of GreenStreet. This South Reno site is located across the street from the Summit Mall, providing families with a variety of full services and amenities nearby, including schools, medical facilities and employment centers. Steamboat by Vintage is affordable to households with incomes at or below 60 percent of AMI — with rent estimated to be $500 or more below market rents in the area. “This project would not have been possible without the strong support of the city of Reno and State of Nevada who have both worked closely together to assist us in the financing of this badly needed new high-quality rental housing for Reno working families,” said Ryan Patterson of Vintage Housing. “We as developers have to think about serving more than just the high-end rental market in our region," said Dane Hillyard. "Without Mayor Hillary Schieve’s drive and passion for bringing new high-quality affordable housing to Reno along with Councilwoman Naomi Duerr and the rest of city council support, this project would not have been feasible." Reno-based GreenStreet Companies and Vintage Housing are the developers of Steamboat by Vintage and Vintage at the Crossings. Together, the principals of GreenStreet Companies and Vintage Housing have financed and built over 15,000 residential units of market rate and affordable multifamily housing, with over 3,000 units in the Reno-Sparks Area.